Home | All About Closets, Inc.
All About Closets is all about innovative design, impeccable craftsmanship and flawless service. Our installations reflect your dreams and your personality, while enhancing your home. We will maximize the storage of your closets, home office, wall units, pantry, and garage or anywhere in your home that requires storage solutions. All About Closets offers a full array of finishes and colors in melamine, and wood. We are a locally owned southwest Florida business that has been improving spaces with custom cabinetry and organizational solutions for over 15 years. Call us and let our designers help you stay organized. …gave us some great ideas as well as being affordable. We wanted to update our garage and den about 8 months ago and call All About Closets. Their designer came out and gave us some great ideas as well as being affordable. The finished product has exceeded our expectations. We moved into a new home and needed to optimize the storage space in our 8 closets and pantry. We met with our designer who quickly understood our needs and gave us great options on how we could best utilize the space. We recommend All About Closets. Stock Development started using All About Closets about 2 years ago. At that time we were not using a custom closet company. As we got more into custom houses we knew we were missing out on providing our customers with the closets that would enhance their homes. We would be happy to recommend All About Closets to anyone. Our designer takes care of everything so we don’t have to…it’s a seamless transition for us. …the highest level of quality and professionalism. I have used All About Closets for over 7 years. They have always completed my projects with the highest level of quality and professionalism. They have always exceeded my clients expectations. All About Closets was the company we chose and they were very flexible in their design. They were extremely easy to work with and returned our questions and changes promptly. The installers were knowledgeable and very neat. Our designer had a true understanding of we wanted, the other company wanted to fit us into a standard closet not as custom as we wanted. We would be happy to recommend All About Closets to our friends and relatives. Let us construct and install the most functional and efficient closets for your Naples or Fort Myers home. 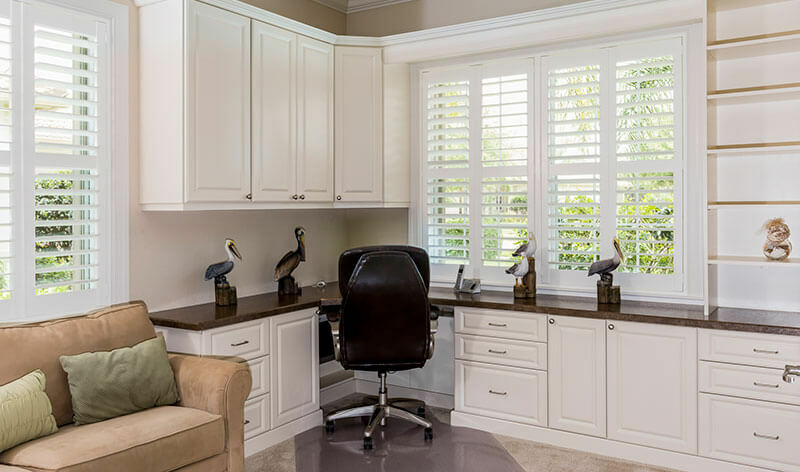 A custom home office will help you maximize your productivity. All About Closets will customize your space to fit your computer equipment, supplies, and work mode. 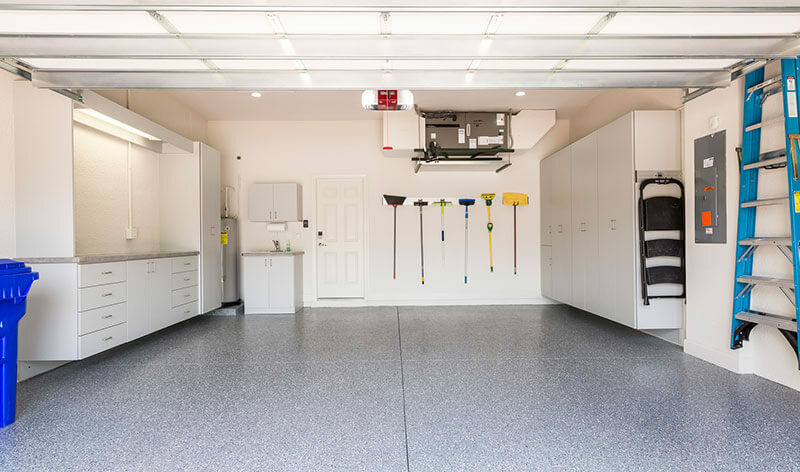 All About Closets offers custom garage storage with an array of different types of cabinets to choose from to store and organize your tools, paint cans, garden equipment, holiday decorations, or household items. 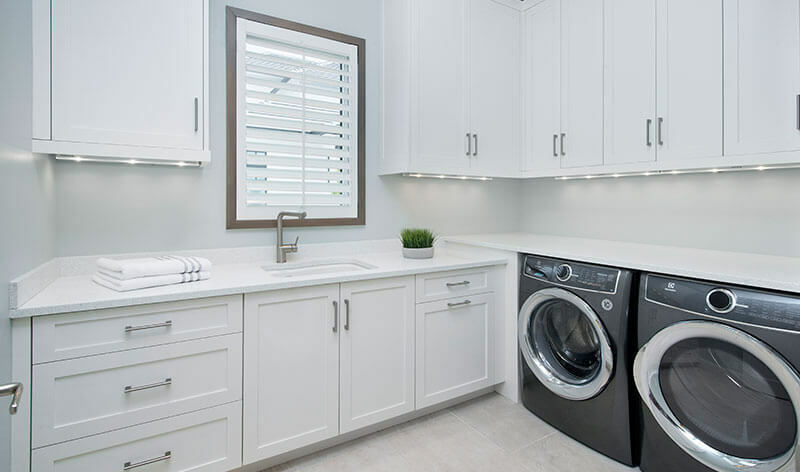 All About Closets can construct and install custom laundry and pantry areas for your home.